Here's to the kings of migration- the Arctic Terns. 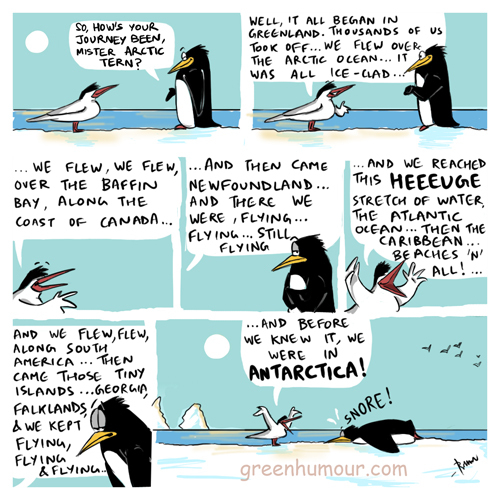 Covering about 80000 km each year on the wing, there's absolutely no stopping these birds! Published in Tinkle Digest this month.